The attic is the biggest source of energy-wasting air leaks in most houses. If you find some rooms too hot in the summer and too cold in the winter, the logical first place to look is up. There are many ways your comfortable air can leak up and out of your home. There can be gaps around recessed light fixtures, ducts and vents. Even a small gap can allow comfortable (paid for) air to escape. We can’t talk about leaks to the attic with noticing the pull-down attic stairs. They’re a huge source of air leakage! 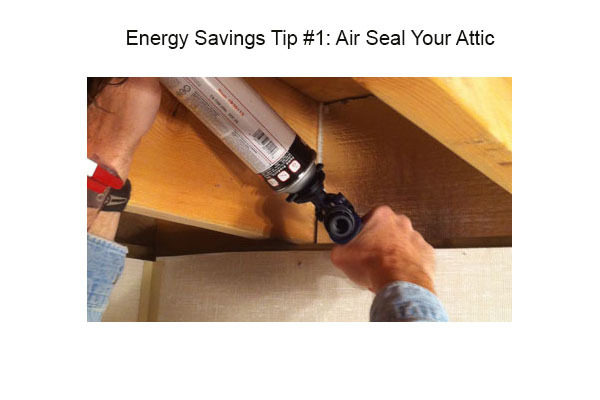 Erik North, author of the Energy Auditing Blog wrote about how to insulate and air seal pull down attic stairs on Green Building Adviser. He succinctly refers to it as “the biggest hole in your ceiling.” Luckily, there are proven techniques to reduce the air loss through that big hole. You may find you need new or better insulation as well, but you should always start with air sealing your attic. While this project can be done yourself, you may want to consider outsourcing this if you are not very experienced. We give this project a “DIY Hero” difficulty rating, meaning some tools, time & materials are required. If you’re ready to go for it, be sure to protect your knees with knee pads and your lungs with a dust mask. 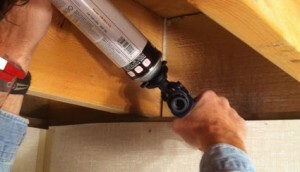 Then follow the instruction in this Family Handyman® article. If you don’t want to take the DIY approach, find a good contractor who specializes in energy saving and making homes more comfortable. A home energy audit is a good place to start to identify and measure where you are losing money. Then you can prioritize projects to help you save on energy costs, and be more comfortable at home. Thanks for the helpful tips Susan – great post. It truly does make a big difference to seal and insulate any areas of a home where energy can be lost. The attic and roof especially! Your website came up in my search and I’m taken by what you have composed on this topic. I am presently diversifying my research and thus cannot contribute further, even so. Just Now love it and thanks for granting my remark. Great job.